The Court first analyzed the law of asylum and noted that the definition of a refugee specifically excludes those individuals who have been firmly resettled in another country. The Court noted that the purpose behind our asylum laws is not to give people a broad choice of safe countries but rather to protect refugees with nowhere else to turn. For purposes of eligibility for refugee status under section 1157 of Title 8, or for asylum under section 1158 of Title 8, a national of the Democratic People’s Republic of Korea [North Korea] shall not be considered a national of the Republic of Korea [South Korea]. When I read that section, I read it perhaps as Mr. Jang read it, that he would be eligible for political asylum, but that is not how the Court read it. The Court looked to the legislative history of the statute and determined that the wording indicated Congress’ intent of eliminating a potential problem of dual nationality for purposes of asylum. A person from North Korea is not to be considered a national of South Korea simply because they could possibly go to South Korea. Thus, if a person came to the United States directly from North Korea, they would presumably be considered eligible for asylum (as he or she would not be firmly resettled in South Korea); the fact that an applicant could have gone to South Korea would not prevent him or her from seeking asylum. This was not the situation in Mr. Jang’s case. He had lived in South Korea. 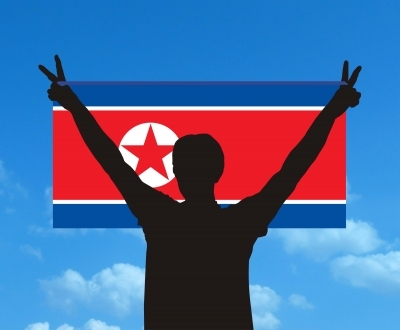 The Court determined that “firm resettlement” was not an issue in the North Korean Human Rights Act and there was nothing in the legislative history which suggested that the analysis of whether or not someone was firmly resettled should be disregarded. “[T]he Act has no effect on the analysis of whether a North Korean has “firmly resettled” in South Korea (or anywhere else).” The Court determined that Mr. Jang was firmly resettled in South Korea and denied his application for political asylum. This is an interesting case as I believe Mr. Jang made a viable argument, but the Court found that the firm resettlement statute was clear and the North Korean Human Rights Act did not change that.